From 7 November 2016 till 5 March 2017 the exhibition Women We has Not Lost Yet is on show at the Konstcentrum in Gävle, a medium size Swedish city, situated 170 km north of Stockholm. Eva Asp, director of the Gävle Konstcentrum shares her thoughts on engaged art. Where does the Konstcentrum stand for? How did you get in touch with Issa Touma? The exhibition is part of a two-years initiative called Save Haven Artist. What’s Issa doing in Gävle? Issa Touma is a Safe Haven Artist in Gävle since March 2016, which means that he has a free zone to live and work in Gävle during two years. Gävle has thereby been accepted by the ICORN network (International Cities of Refuge Network), which consists of cities throughout the world, as a city that hosts artists who have difficulties to work in their home countries. 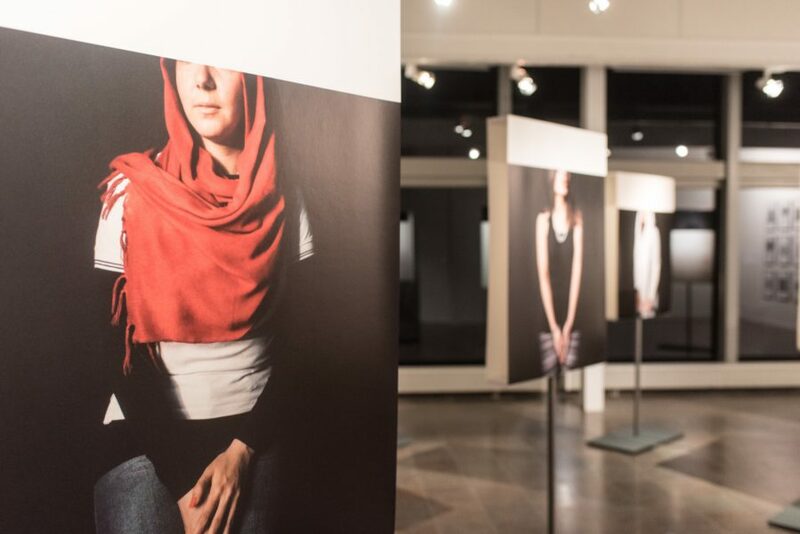 Women We Have Not Lost Yet is the first exhibition by Issa in Sweden, and we have had a very positive response so far, especially from young people, and groups of people that normally don’t visit the Art centre. In just a week the guided tours where fully booked for a month fort by the local schools, we have also had much interest from media, locally as well as the national TV channels and printed media. Is there a side program? Having Women We Have Not Lost Yet in our Konstcentrum means a lot especially in connection to the programs that are linked to the exhibition, which are all in cooperation with locally engaged cultural institutions, many of them driven on a non profit basis, as NGOs. 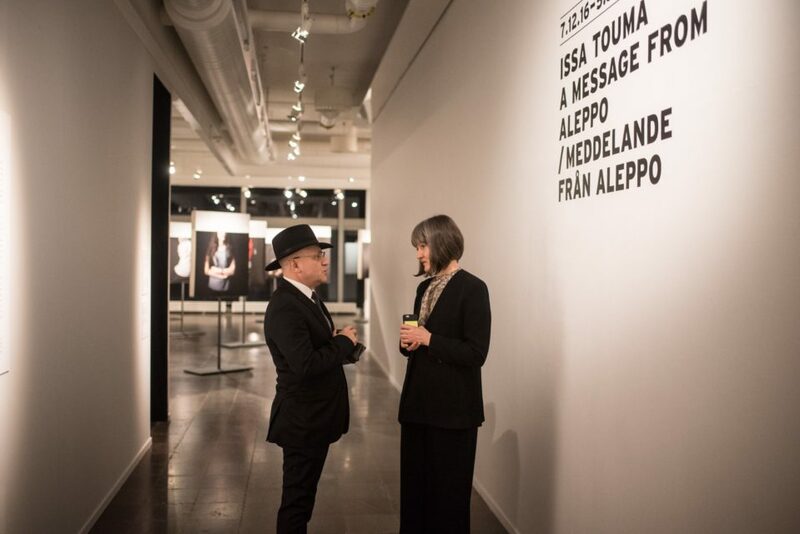 For example there will be a discussion the 16th February between Issa and the President of the Swedish Artists’ National Organization, Katarina Jönsson Norling, on the topic of freedom of speech for artists, how the condition differs over the world, we also have a program in cooperation with the University and nonprofit Asylum groups. 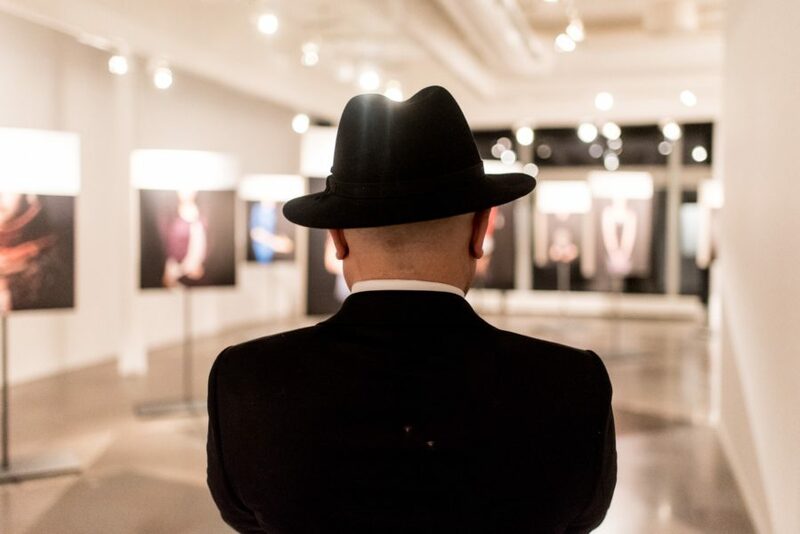 What is the added value of this exhibition for your audience? We are of course very glad over the positive response to Issa’ s work all over the world, and thereby also to the work of Paradox. This exhibition shows the importance of the topic, and the importance to work in an artistic manner with socially relevant issues. It enables people to process facts that are incomprehensible: the civil war that has been going on in Syria for the last five years, facts that can be difficult to understand on an emotional level. The work of Issa gives an entrance to the understanding of what is actually going on. It tells the story of the civilians in the war, who don’t take part, but at the same time are part of this war. And as it focuses solely on strategies how to resist the destructive forces of war, it also, in a sort of contradictory way, brings hope, in a hopeless situation. We also felt it was very important that the Dutch Ambassador Ines Coppoolse, was at the opening here in Gävle, as an important statement. European countries need to cooperate in offering help to the people who live in these kinds of terrible conditions. The emotional story of Aleppo and its people needs to be discussed over and over again. We are very happy to be able to do this and reach out to a very large group of people, many of them getting engaged in those issues through Issas artworks.